This release brings together two true originals in a raw and brilliant live set from Irving Plaza in New York City in 1984. The Fuzztones were one of the most innovative of '80s garage revival groups, a truly deep and weird group in a sea of imitators. 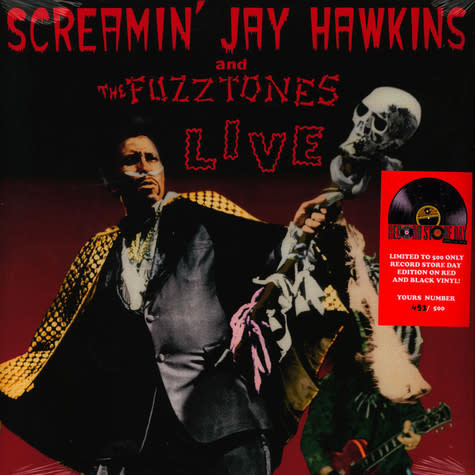 Meanwhile the legendary Screamin' Jay Hawkins needs no introduction. This wild and raw live set features four Hawkins classics in an updated fuzz drenched '80s garage style, a perfect fit for his raucous vibe. Released on a limited edition splatter vinyl 12".